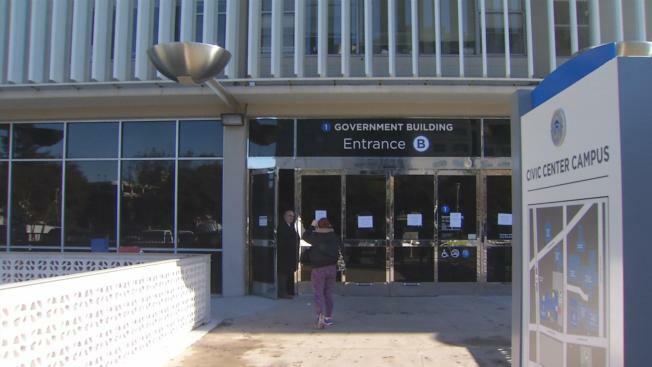 The County of Santa Clara Government Center Building in San Jose was closed Thursday because of a power outage, officials announced. The power outage at 70 West Hedding Street was caused by failure of three bus boards on a County switch gear, officials said. People were being turned away. Jennifer Kinnamon of San Jose, who wanted to look up records in the assessor's office, said: "Am I annoyed? Yeah, a little bit. I'll just go onto the next county." As a result, the Santa Clara Valley Transportation Authority board of directors meeting scheduled for 5:30 p.m. will be held at an alternate spot, a spokeswoman said. A spokesman for the District Attorney's Office said all critical deadlines were being met. Normal business services are expected to resume on Friday. Anyone needing to conduct business with the County is encouraged to access online services at www.sccgov.org.